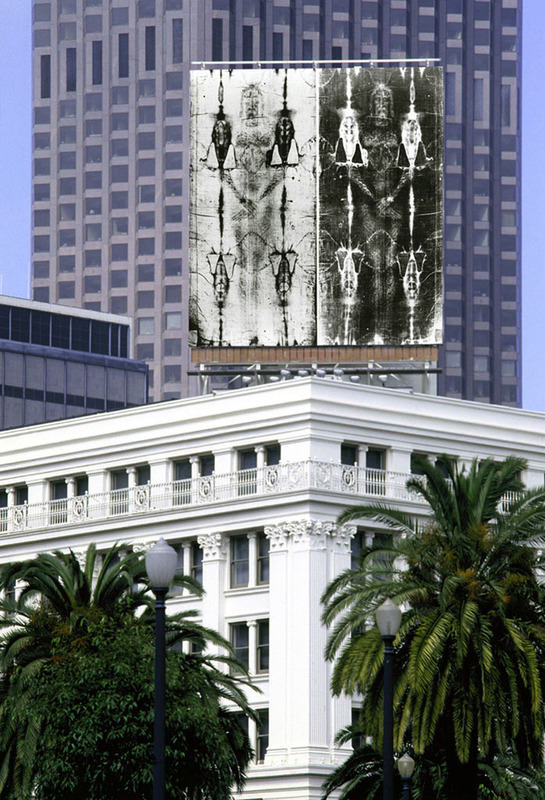 This work originates from the negative and the positive images of the Holy Shroud in Turin. Classed as the first negative image in history, the Holy Shroud represents a seemingly human figure and is traditionally believed to be the image of the dead body of Jesus. The installation actualizes this mysterious human image revealed through an original XIX Century negative photograph. 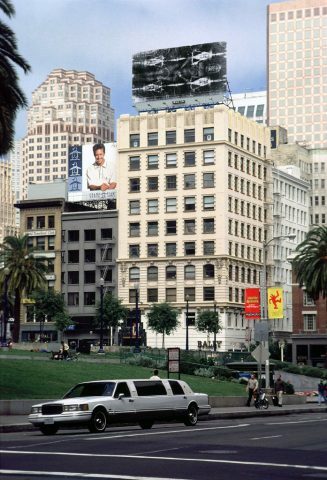 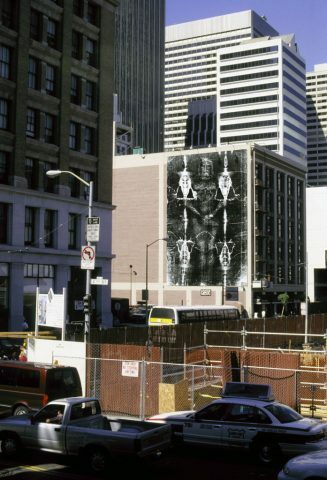 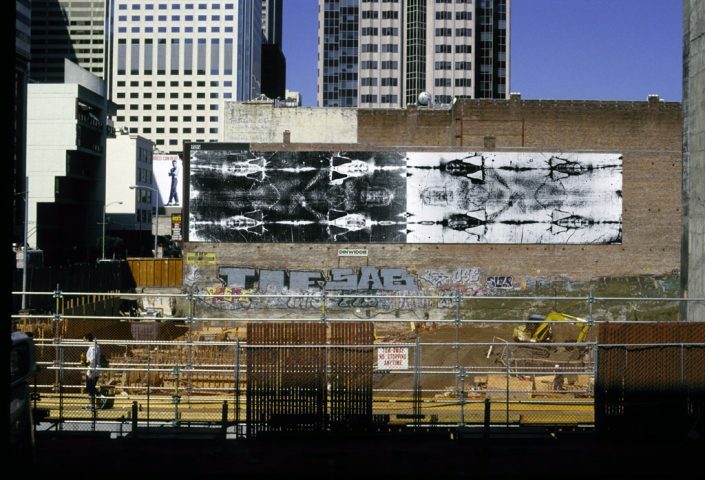 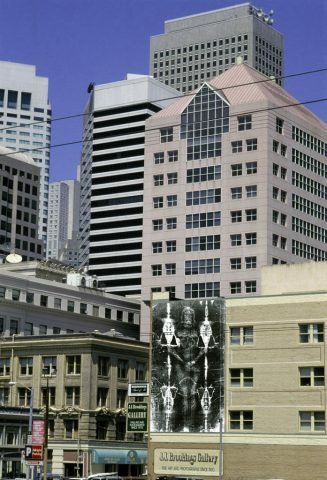 These images document the manifestation of an urban event in San Francisco: the appearance of the image of the Shroud on the outdoors advertising boards of ten different public sites in the City. They are the true photographs of a virtual event: an Urban Annunciation. The Holy Shroud is a sacred image and is traditionally worshipped as an icon, but at the same time is also a distinctive image itself. 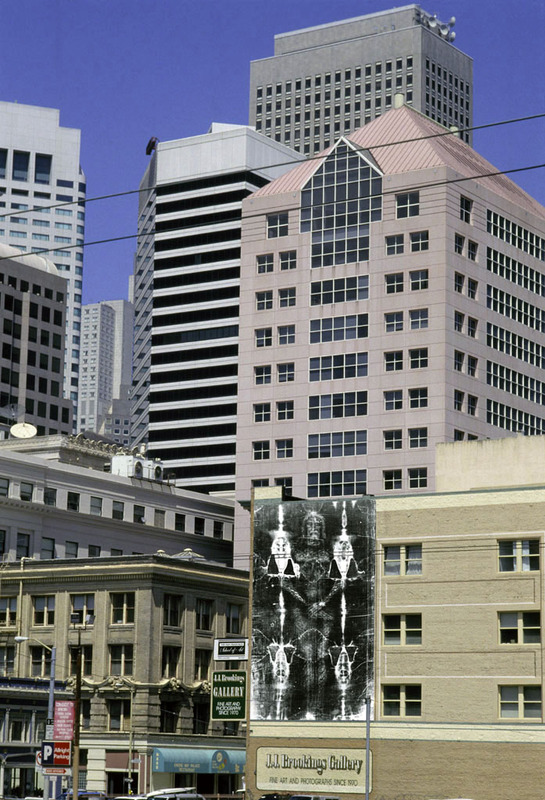 This Annunciation is based upon both aspects of this mysterious visual reference. 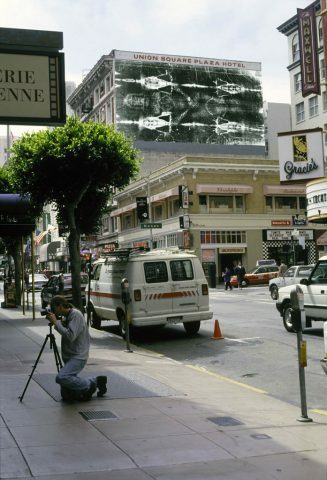 It specifically makes use of the photographic medium for its power to create light- generated images. 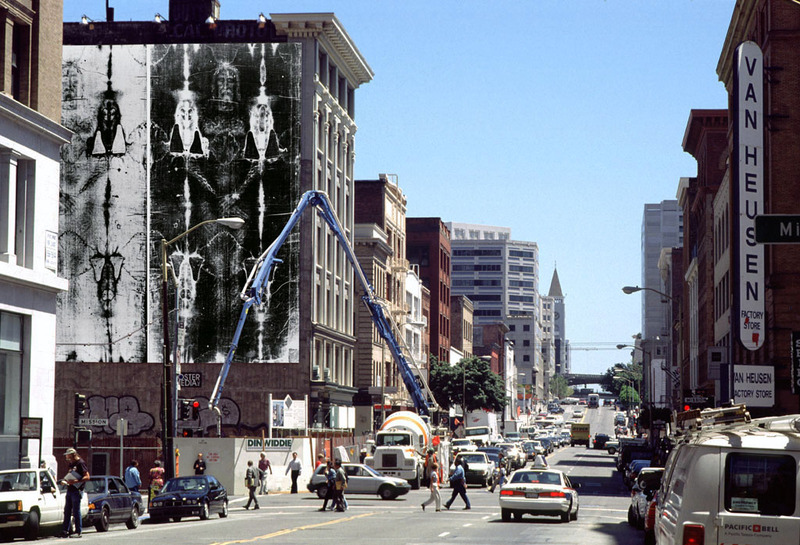 Thus from an ancient icon a new and original image is generated. It overtakes the boundaries of tradition and time and challenges the medium of photography as a symbolic language, revealing the mystery of human representation through light.